I'll start like I start my most of reviews; with a disclaimer, that this shirt was sent to me by Ski + Trek to review. Ski + Trek and contacted me. I was asked what I would like to review and I asked for this shirt. They were nice enough to send it to me. I have no vested interest in Ski + Trek, Craghoppers or the shirt itself other than to share my views and opinions; good, bad or otherwise. Ski + Trek have a range of gear for walking, skiing and snowboarding. From their site I selected the Craghoppers Kiwi Long Sleeve Shirt in a size medium and in indigo. As I always do I gave the shirt a once over, running my hands through and giving it a good going over. I then stuck in on my scales. It came out weighing 296 grams for my size medium. It states a weight of 300 grams on their website but doesn’t say for what size. 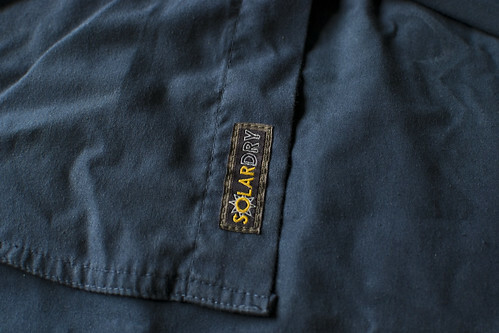 The shirt is made from Craghoppers’s own fabric, SolarDry. 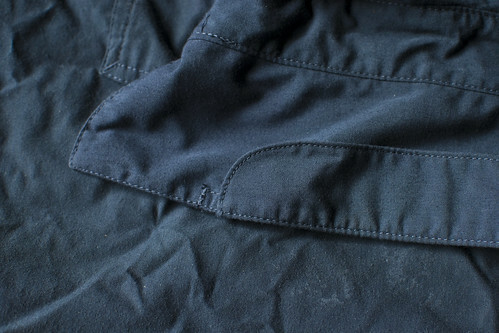 This is basically a polyester cotton mix that gives a reading of 40 on the UPF(Ultraviolet Protection Factor) index. The fabric also meets the British Standard for sun protection (BSEN 13758-2). It does this through the combination of 3 factors. The colour of the fabric, the density of the fabric construction and the type of yarns used. In my hand it felt nice and soft like a standard medium weight cotton shirt. It is a pretty standard cut like most button down shirts. 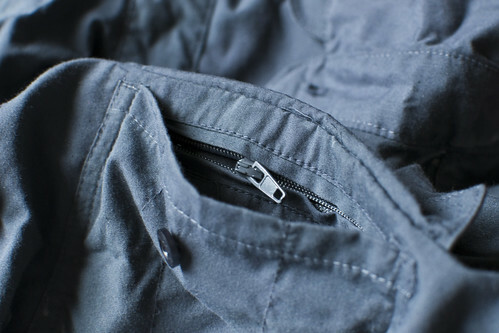 It has two button closure pockets on the front and one of those holds a zipped security pocket. I felt that the pockets were a little small considering they state that the secure one's passport sized. I’m not sure which country has one that size but my British passport isn’t that small but then again I’m not one for stuffing my pockets full of things. The long sleeves are great giving you a lot of versatility, roll them up or down if you’re too warm or too cold. 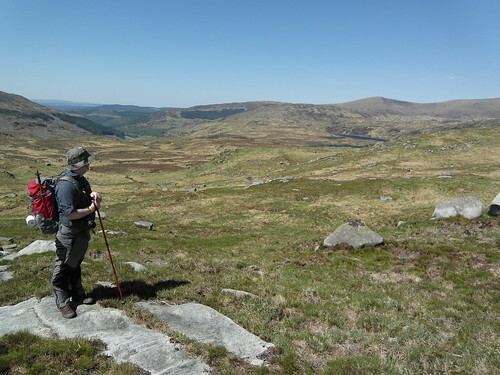 Keep the blazing sun off or look a bit smarter if you nip into the pub for a pint after being on the hill. The fact that you can button down the sleeves when you roll them up is great. No need to keep fiddling with them and rolling them back up because they can’t start to fall down. The shirt also has a couple of interesting little features. 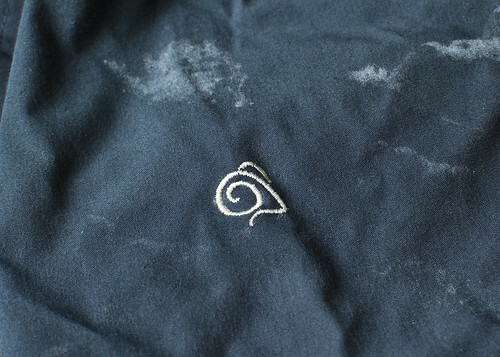 The first one is a couple of drying loops allowing you hang the shirt up after washing it without the need for pegs. Ideal for travelling. The other is a double collar. Tucked under the standard collar is another small flap which gives up more shade when you stand it up to protect yourself from the sun or cold draft blowing. Really smart thinking. One that I liked as I have milk white Scottish skin that sun only needs to wink at to turn me pink and the place that always gets it the back of my neck. 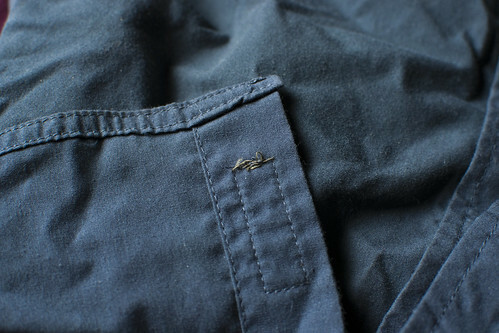 The only thing to let the shirt down was the untidy ends to some of the stitching. Nothing loose or not stitched correct just that finishing, tying off was unruly other than that it looked and felt a well made shirt. One I was happy to wear. After the initial inspection the shirt went through the usual lounging about the house testing. Rolling on the floor playing games with the little one, watching sports and drinking beer. A run round the colour cycle of the washing machine. The hard stuff. I always find wearing gear, if possible, casually is a great way to find out if it’s going to be any good when you do eventually take it outside. You’ll find out very quickly if its going to rub or pinch, ride up, are the tags going to scratch and itch. Thankfully none of that happened with this shirt. 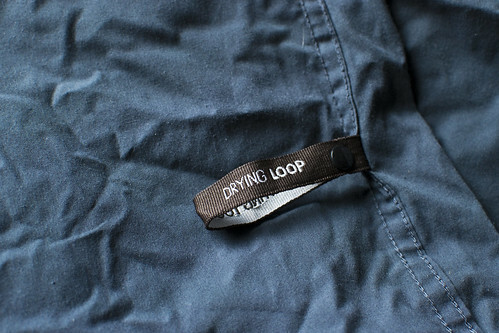 The polyester cotton is nice and comfortable with no hard tags to itch. No real worries or concerns. It passed the first phase of testing. Its first trip out was nowhere near the wilds or hills something much more mundane and tranquil, the weekly trip to pick up some groceries from the local supermarket. Again the shirt was comfortable. I had no problems with and it didn’t look out of place in the urban environment, the man about town looked fine. When out in the wilds when I was working hard I found the shirt to be cool and also to dry quite quickly for what feels like a medium weight fabric. It was always comfortable and it didn’t find any rubbing under rucksack straps or any chaffing. I have worn it on its own, under a windshirt. I have even slept in it like a dirty stop out. 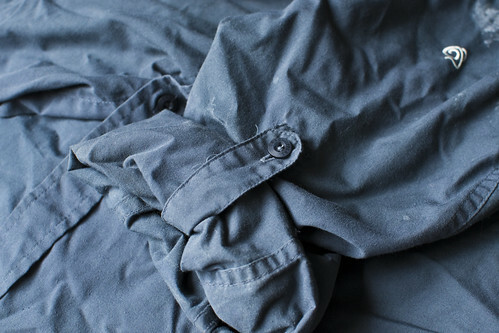 The shirt has taken a lot of abuse, washed and dried well. There a few marks where my sweat and the suncream has caused a slight discoloration of the fabric on the sleeves where I had rolled them up. Other than that the shirt is great and it doesn’t affect the wearing. A tough well made shirt. It seems to fill a lot of uses and occasions. I like it.